It is important for youth involved in fair exhibitions at the local level to understand how to protect the health of their animals, safeguard their personal health, look after the public that attend exhibitions and protect the fair from the consequences of disease. County fairs and jackpot shows bring together pigs from many areas and health status and at times disease can spread quickly when pigs from different areas are comingled at events like these. If illness is a result of the comingling of pigs, people can also be at risk for infection from zoonotic diseases. Michigan State University Extension recommends taking proper precautions so that your pigs will be unaffected or less affected when they come into contact with a disease like swine influenza. 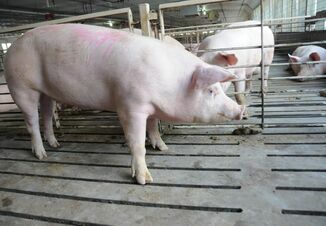 These precautions can decrease the clinical signs (coughing and sneezing) that pigs express, therefore better protecting exhibitors and the public from different zoonotic illnesses. 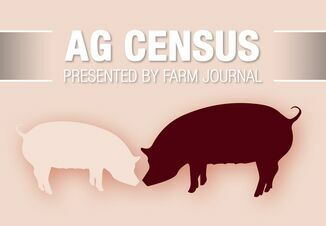 As with any zoonotic disease there is a concern that people may become sick from exposure to pigs that are carrying virus and may be contagious. Taking simple precautions such as washing your hands and being vigilant when you observe your animals can help protect the health of pigs and people. When you come into contact with animals, it is important to practice good hygiene and wash your hands using soap and water. If access to soap and water is limited, using hand sanitizer can also be beneficial. Many times, viruses are transmitted via oral and nasal mucosa and expelled when the animal coughs or sneezes. Eliminating food and drink consumption by humans around animals is a known method to reduce the transfer virus. When you see others eating or drinking in the exhibition area, be an advocate of your industry and politely ask them to remove food from the area, as this will help keep the pigs and people from getting sick. Swine influenza (SIV) is a respiratory disease caused by type A influenza virus. This zoonotic disease is contagious among pigs and according to the Centers for Disease Control and Prevention, some strains have been reported to infect the human population, specifically in Michigan during the summer exhibition season the last few years. Influenza can be characterized in swine by clinical signs such as coughing, fever, sneezing and lethargic acting animals. Swine can also be asymptomatic, which means that you may not notice that your pig is sick. This disease typically runs its course in approximately three to seven days. This is why daily observation of changes in health status of the swine exhibited is also important. If you do notice your animal express signs of illness while you are at the county fair or exhibition, it is important to talk to the event leadership. Working with the fair veterinarian if an animal becomes sick and taking the appropriate steps to isolate or remove that animal from exhibit can help decrease the spread of disease in the swine area and stop exposure to people. If you become sick and have signs of respiratory illness it is important to notify your doctor that you have had close proximity to swine so that the correct diagnoses can be made. 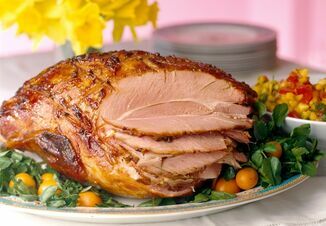 It is also important to understand that influenza virus, including H3N2 is not a food safety threat and swine influenza is not transmissible by consuming pork or pork products. Properly prepared pork is safe to consume and people should not be concerned with contracting influenza caused by the influenza virus. Safeguarding your health and the public is an important role for swine exhibitors, as they are ambassadors of the agriculture industry and should lead by example when working with animals.